Are Xi and Trump really so different? 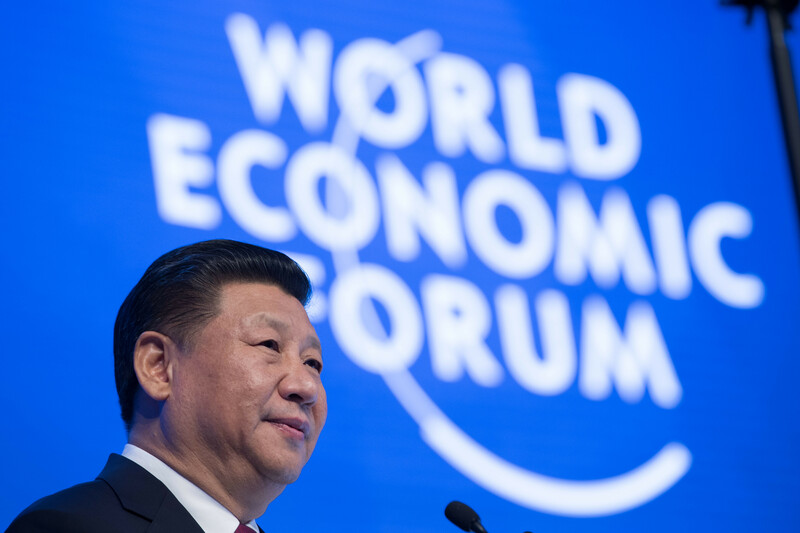 In reality, Xi’s speech at Davos had plenty of nationalist self-interest; it was just packaged in a different wrapper. Xi praised globalization not because it is good in the abstract but because globalization has made China rich and powerful. We should act pro-actively and manage economic globalization as appropriate so as to release its positive impact and rebalance the process of economic globalization. We should follow the general trend, proceed from our respective national conditions and embark on the right pathway of integrating into economic globalization with the right pace. Such achievements in development over the past decades owe themselves to the hard work and perseverance of the Chinese people, a quality that has defined the Chinese nation for several thousand years. We Chinese know only too well that there is no such thing as a free lunch in the world. For a big country with over 1.3 billion people, development can be achieved only with the dedication and tireless efforts of its own people. We cannot expect others to deliver development to China, and no one is in a position to do so. Implicit in this line of thinking is that countries for whom globalization has not been a success–a group that Trump and Bannon seem to think includes the US–have only themselves to blame. They didn’t do it right; China did. Trump seems to agree, as he wants to renegotiate US trade deals. In the coming five years, China is expected to import $8 trillion of goods, attract $600 billion of foreign investment and make $750 billion of outbound investment. Chinese tourists will make 700 million overseas visits. … we hope that other countries will also keep their door open to Chinese investors and keep the playing field level for us. If Xi is now trying to present China, however implausibly, as a defender of a liberal global economic order, it’s because he wants something from the rest of the world. ← Previous Post Who lost the battle for Manchuria? China has looked to its interests more carefully as the weaker power–but also has a different structure of political incentives than the U.S. The responsibility for success and failure clearly lies with only one organization in China, and that organization is no longer protected by the fear a mass murderer like Mao inspires. Certain forms of success (like full employment) are necessary for the CCP, though they have considerable slack in certain forms of failure (environment, corruption). In America, responsibility for failure endlessly shifts between the various players, Dems-Repubs, Executive-Legislature-Judiciary-Bureaucracy-Media, politicians-voters, Pentagon-State, corporations-NGOs, etc. Eventually, though, after enough perceived failure, an inflection point may be reached in America, comparable to the 1930s or the 1960s. The first of those inflections was much more grounded in real problems than the second, or the potential third which may be upon us. One might view Trump as taking responsibility–an ostentatious declaration that the old system of trading economic decline for political influence cannot be permitted to do any more damage to socio-economic conditions. Whether Trump symbolizes this new turn we cannot yet know, but vitriol between the two sides is at the highest level in 50 years.